The Spanish Ministry of Development opened today the two remaining sections to complete of the so-called Hiperronda of Malaga. The said highway is born with the mission to facilitate communications between the western and eastern Costa del Sol and will also benefit all those vehicles with destination to or from Seville, Cordoba and Granada. 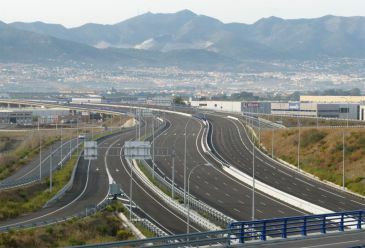 The new highway will permit to travel from one end of the province of Malaga to the other without having to go through the capital and, therefore, escape the usual congestions that occur in several of its access roads. This new road map will be completed tomorrow with the opening of the toll highway Las Pedrizas, an alternative to the historic entry from the interior of the peninsula and with a far more uniform road curse and wide curves, enabling a constant maximum speed of 120km/h. Also the tourism sector will benefit a lot from this huge step forward. On completion of the new access to Malaga airport from the western Costa del Sol and the ring road of San Pedro (Marbella), Malaga may presume a road network according to its true potential.